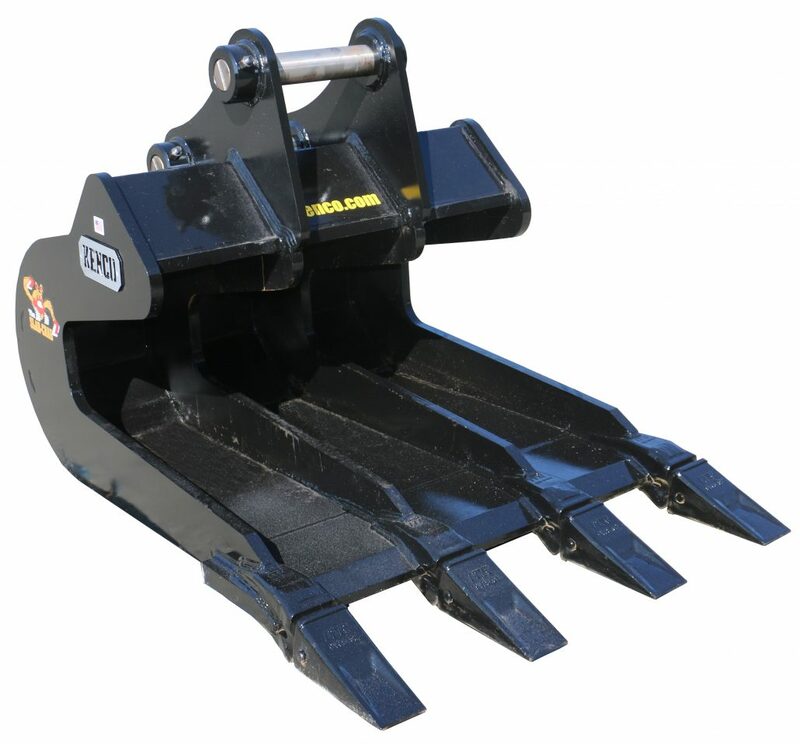 The quickest way to remove bridge decks, airport runways, sidewalks and other surfaces that use poured concrete slabs. Just slide the teeth of the Slab Crab under the pavement and lift it up. Slabs are removed intact. 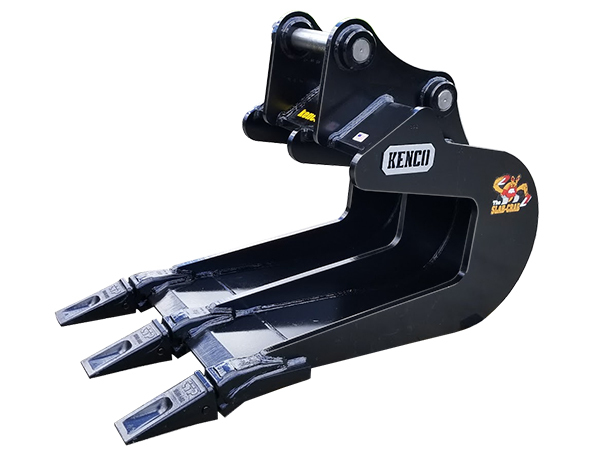 Concrete slab lifter buckets can be fabricated to widths larger than 54 inches. 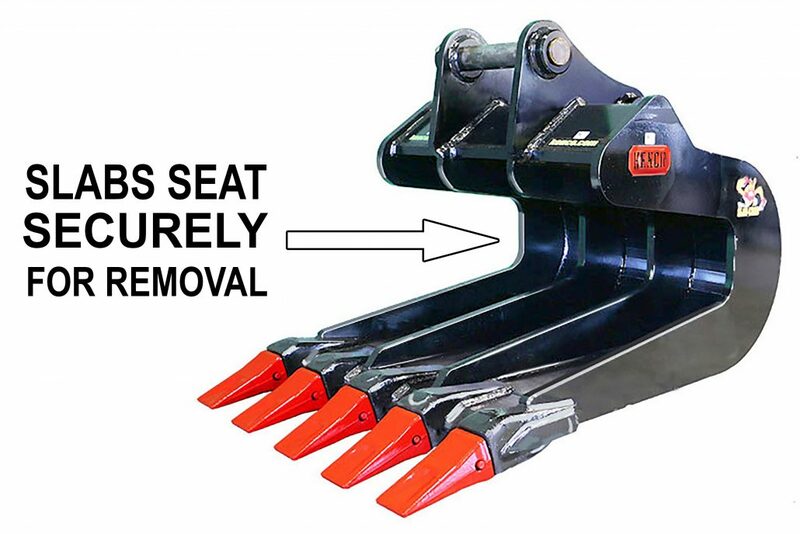 Throat opening can be customized to accept required slab thicknesses.